While Reliance Nippon Asset Management fell over 10 percent, HDFC Asset Management Co slipped more than 9 percent in morning trade. 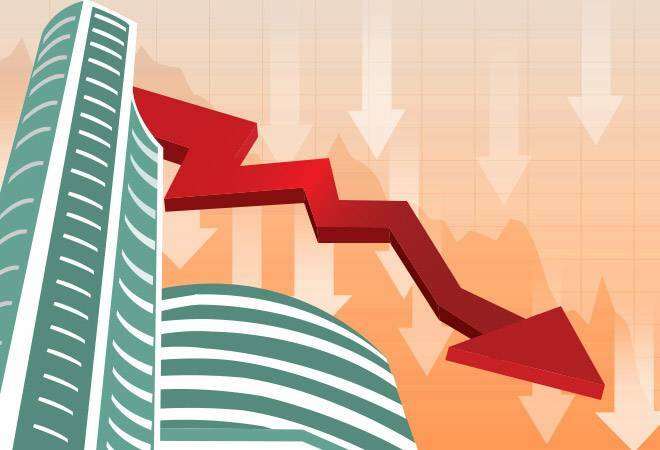 The stocks of asset management companies (AMCs) fell in trade today on fears of lower revenues after market regulator Sebi capped expense ratio for mutual funds. While Reliance Nippon Asset Management fell over 10 percent, HDFC Asset Management Co slipped more than 9 percent in morning trade. The HDFC Asset Management Company stock fell up to 9.28% or 143 points in trade today. The stock closed at 1540.20 level yesterday. It opened at 1,480 level today and hit an intra day high of 1,498 before touching a 52-week low of 1,397 on the BSE. The stock opened at a loss of 3.91% in trade today. On August 6, 2018, HDFC AMC became the fourth company from the HDFC Group to be listed on bourses after HDFC, HDFC Bank and HDFC Standard Life. The stock listed at Rs 1,738 per share, a premium of 58% over issue price of Rs 1,100 per share on the NSE. The stock has lost over 17% during the last one month. Meanwhile, the Reliance Nippon Asset Management stock fell up to 10.29% at 192.10 level on the BSE. The stock which closed at 214 level in yesterday's trade opened at 206 level and fell to a 52-week low of 192.10 on the BSE. The mid cap stock has fallen over 35% since the beginning of this year. It has been losing for the last three days and has fallen 13.62% during the period. The stock opened at a loss of 3.81% in trade today. Motilal Oswal, another key player in the mutual fund sector, also took a hit on the bourses. Its stock fell up to 2.66% to 752.80 level on the BSE. The midcap stock is trading 2.71% away from its 52-week low of Rs 735.30. It has been losing for the last two days and has fallen 3.46% during the same period. It has fallen 49.28% since the beginning of this year and lost 40.79% during the last one year. On Tuesday, the board of market regulator Sebi cleared the proposal to cap the maximum total expense ratio (TER)-the fee that mutual funds collect from investors every year to manage their money-for closed ended equity schemes to 1.25 per cent and other than equity schemes to 1 per cent. The maximum TER for open ended equity schemes has been capped at 2.25 per cent. The expense ratio has been capped according to the assets under management (AUMs) of the mutual funds. For schemes with AUMs up to Rs 500 crore, 2.25% will be charged as expense ratio every year. For the next Rs 500-750 crore, it will be 2 per cent. Between Rs 750 crore and Rs 2,000 crore, the fee will be 1.75 per cent. For Rs 2,000-5,000 crore, it will be 1.6 per cent and large equity mutual funds with assets above Rs 50,000 crore will be able to charge just 1.05 per cent. Morningstar India in a note said, "With increasing fund sizes, the quantum of reduction in TER increases. For instance, this move will result in a reduction of 9bps in the TER of a fund with an AUM of Rs 5,000 crore, but a fund with an AUM of Rs 20,000 crore will witness a reduction of TER to the tune of 28 bps. This is exactly what SEBI is trying to achieve, to pass on the economies of scale of larger funds to investors."